Salam Association is a CSU, Chico organization that aims to create a wide range of events, including speakers, to promote cross-cultural dialogue, discussion, and free exchange of ideas. In addition, the organization intends to provide a better understanding of different concepts of Islam and Islamic culture. Early in his presentation, Sheikh Faiyaz Jaffer declares, “Every human being desires justice,” and that this desire transcends religious boundaries. Yet, there is injustice all around us. In fact, in his experience as a chaplain Jaffer speaks with many students who feel oppressed in some way. He explains the three facets of justice in Islamic tradition. Jaffer emphasizes that everyone has a responsibility to speak out against injustice and oppression. 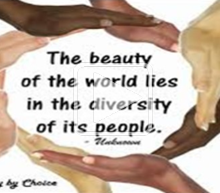 The United States has become increasingly diverse; according to 2016 U.S. Census data, only 61 percent of the population is non-Hispanic Caucasian. One of Dr. Al-Mabuk’s goals as an educator is to promote social values, including diversity, inside and outside the classroom. He believes people can learn, share, and celebrate differences. 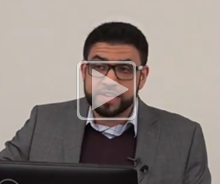 In this presentation, Dr. Al-Mabuk discusses his definition of cultural responsiveness: The willingness to acknowledge the existence of, show interest in, demonstrate knowledge of, and express appreciation for the individual’s ethnicity and culture.